*The confidence to display those 'pearly whites' in any social situation or professional engagement. *The ease to share in a joke without concern for how your teeth look. *The assurance that you look your best. Brighten your day with a natural, healthy, radiant smile. Henke Dentistry has been restoring luster to teeth and confidence to smiles for over 15 years. In that time, we've had patients come to us with the full spectrum of cosmetic dental issues. From whitening to implants, veneers to bridges, every one of our patients has left our office smiling unabashedly. Call us today at 541-757-0082. We all know that cheese has dietary value. It has many essential nutrients including high quality proteins, calcium, phosphorous, zinc, vitamin A, riboflavin and vitamin B12. Cheese can also help prevent Osteoporosis and can strengthen bones and tissue. Cheese also contains Conjugated Linoleic Acid and Sphingolipids, substances that can help prevent cancer. It sounds like cheese is a miracle food, doesn't it? Well, now there is another reason to eat more dairy. 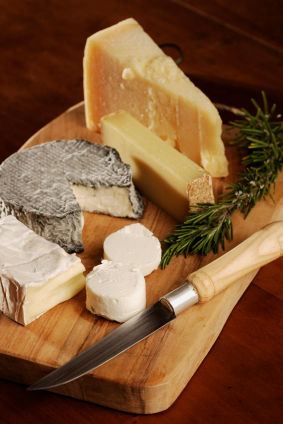 Did you know that cheese just might help prevent tooth decay? According to a recent study in General Dentistry, a peer-reviewed journal, eating cheese and other dairy products can help fight cavities. So next time you find yourself in the dairy aisle, consider the benefits to your teeth as you make each selection.